This month of December, Southern Mindanao Mission had a total of 2,283 baptisms during 2 main crusades in Koronadal and General Santos, with simultaneous satellite meetings in 24 districts, assisted by 27 adopted ministers, 54 former protestant pastors now Adventists (FPPNA), and many small groups in 234 churches. All have rallied together to have this great result in baptisms, and of course a big budget from the Southern-Asia Pacific Division. Praise the Lord! We held two crusades from November 19 to December 10, 2011. Pastor Edwin E. Gulfan, the Ministerial Secretary of South Philippine Union Conference was the speaker of the Revelation Seminar held at Sidney Hotel, General Santos City. On December 4 to December 10, 2011, there was another big crusade in Koronadal City given by SMM’s Mission President, Elder Roger O. Caderma. Groundwork by adopted ministers, FPPNA and laypeople were done from September through November; Seminars and evangelisms were held from November 19 – December 10. 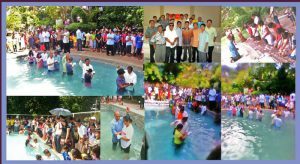 Baptisms in the Revelation Seminar for the elite = 6; Baptisms in the satellite meetings of the seminars with 11 districts involved = 550; Baptisms in Koronadal City Revelation of Hope = 270; Baptisms in the satellites in Koronadal City = 1,457. A Baptist deacon was convinced of the Sabbath truth and got baptized. A lady lawyer who had studied the doctrines of the Bible as taught by the Seventh-day Adventist church was convinced of the truth and accepted baptism. A teacher of the RCC in their parish together with his wife who leads the women in their church testified that he believed what he learned in the seminar and decided to be baptized. Our baptismal goal this year for Southern Mindanao Mission is 6,000 souls but we have gone past the 9,000 baptisms already. Praise the Lord! We need church buildings! buildings! buildings! 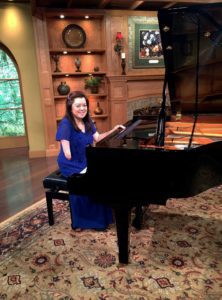 Can Adopt a Minister International donate church buildings? One church building will cost $2,500. I know AMI is struggling financially but I want to mention this and praying the Lord will send money to AMI for these new converts to have their own houses of worship. A lot of them came from the Layman Bible Institute that we have established.